Action Kids offers a fun and interactive music and movement class incorporating a strong educational theme so parents can rest assured knowing their children are learning whilst involved in physical fun. All sessions are action packed and children are encourged through exercise and movement to let out steam! 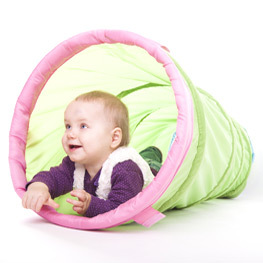 Many of the early learning goals are achieved through the varied rountunes and activities. Different genres of music are used throughout the classes including nursery rhymes and much loved funky tunes. A large assortment of props and musical instruments are used to stimulate creativity and encourge children to explore. Parents and carers are encourged to join in throughout the class and help out with parachute fun too. Children with special needs are actively welcomes and understood. Actions Kids presents classes at All Sorts Action Studios Alexndria, the home of Action Kids, Sydney. Classes include all the fun and interactive movement of Action Kids regular classes, but with the addition of soft and safe, play shapes. Tunnels, Rockers, Slippery Dips, Steps and Balancing shapes are set out on a matted area. Activities and games are played to encourage and promote crawling, walking, tumbling and coperation whilst building confidence. Play Dough and Colouring offer an alternative activity too!